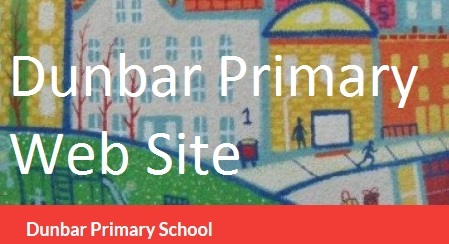 The next Parent Council Meeting will be held on Monday 1st December at John Muir Campus at 7:00pm – All welcome! November’s PC meeting minutes can be found on page ‘Archive of minutes’. Please note Parent Council Meeting dates have been changed to Monday and Tuesday nights – see meeting dates page for updated list. 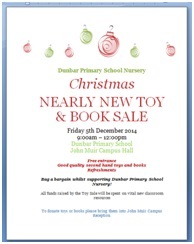 On Friday 5 December there will be a toy sale from 9.00 a.m. to 12 noon in the gym hall at John Muir Campus. If you have any donations of used toys and books for any ages please bring them to John Muir Campus. Funds from this event will be put towards Nursery resources. Tea and coffee will be served on the day. Ladies Night tickets are now available for preorder – £10 each which gets you a glass of ‘buff bubbles’ on arrival, food, entry into the Christmas dinner prize draw and disco dancing till late on Friday 28th November from 8pm. Please contact Tracy Gillespie, Lana Brady or Patricia Houghton to reserve your tickets.